Last night, fresh from the excitement of the NBA All-Star extravaganza, which saw four Brooklyn Nets players participating in different activities and Nets forward Joe Harris beating out Stephen Curry to win the MTN DEW 3-Point Contest, the Brooklyn Nets sputtered in its first game after the NBA All-Star break losing to the Portland Trail Blazers 113-99. With the loss, the Nets have a 30-30 overall win-loss record and 17-14 at the Barclays Center. They are also still in the sixth position in the NBA Eastern Conference playoff berth standings right behind the Boston Celtics. On the contrary, the Portland Trail Blazers improved to 35-23 overall and 11-15 on the road with the win. Like the Nets’ game against the Chicago Bulls, Portland’s starting five out-sized the Nets starters with the Trail Blazers’ center and forward being 7’0” and both forwards 6’9” while the Nets players in those positions are 6’11” (center) and 6’7” and 6’5” for the forwards. Also, Portland’s players in those positions have more experienced with 6, 8, and 4-years’ NBA experience versus no more than two years of experience (2, 2, and 1) for Nets players in similar positions. This not to excuse the Nets loss, but to put into context things that can contribute to the ups and downs in the NBA and sports in general. All of the Portland Trail Blazers starting five scored in double digits. Jusuf Nurkic, the team’s center achieved 27 points, 12 rebounds, and three blocked shots; CJ McCollum recorded 21 points, six rebounds, five assists, and two blocked shots; both Maurice Harkless and Damian Lillard each scored 13 points and eight rebounds, while Lillard added 8 assists to his total and Harkless added four assists; Al-Farouq Aminu contributed 11 points and 10 rebounds, and; Enes Kanter, who recently landed in Portland via a transaction with the New York Knicks, came off the bench and registered 18points and nine rebounds to help his team get the “W”. Crabbe understands there is no time to dwell on this loss and what to do next is not rocket science. Everyone understands what needs to be done to be ready for the Charlotte Hornets on Saturday. Oddly enough, the players that led the Nets in scoring last night were former players from the Portland Trail Blazers, Crabbe and Ed Davis and they both came off the bench. Crabbe scored 17 points and four rebounds, while Davis scored a double-double with 15 points and 10 rebounds. 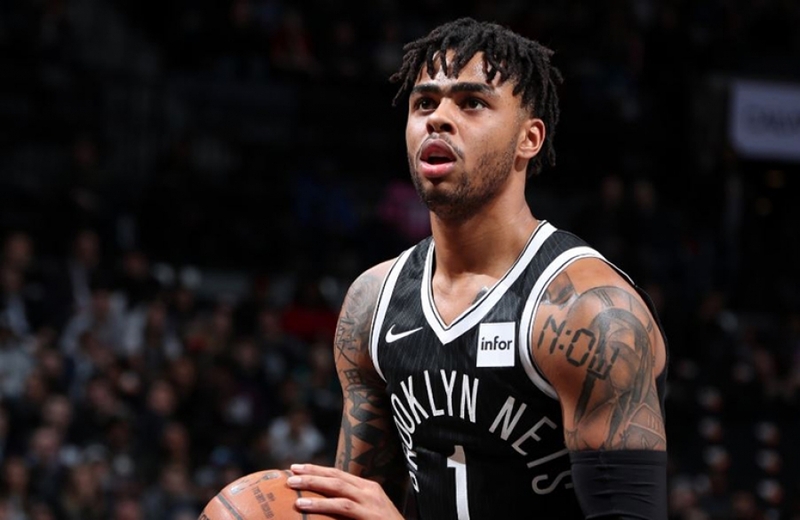 D’Angelo Russell led the Nets first unit with 14 points, eight assists, and four rebounds; Joe Harris scored 13 points and four rebounds, both Caris LeVert and Jarrett Allen each scored 12 points, while Allen added 11 rebounds to his total. 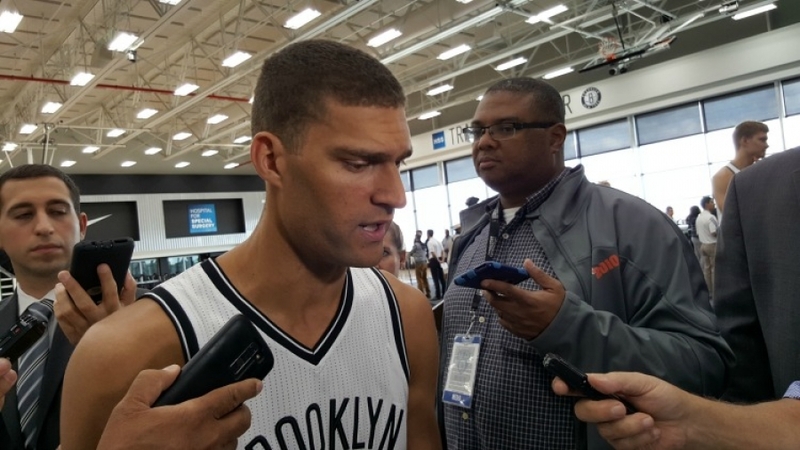 Some have called this loss to Portland a wake-up call for the Brooklyn Nets. After playing the Charlotte Hornets on Saturday, February 23rd, the Nets return home to take on the San Antonio Spurs on Monday, February 25, 2019, at 7:30 p.m. at the Barclays Center in Brooklyn. The Brooklyn Nets have been undergoing a rough patch lately. All teams in the NBA go through a backward slide during the NBA season at some point or another, even the reigning NBA champion, the Golden State Warriors, as of today, has lost 15 games this season. However, when you’re fighting for relevancy and trying not to fall out of NBA playoff positioning, you have little room for error and so is the case for the Brooklyn Nets. Last night, and every game at this point and going forward is important for the Nets. Unfortunately, the Brooklyn Nets couldn’t pull off a win against the Milwaukee Bucks, the current number 1 team in the NBA. The Bucks defeated the Brooklyn Nets, 113-94. With the loss, the Nets fell to 28-27 overall and 16-12 at Barclays Center. Meanwhile, the Bucks improved to 39-13 overall and 17-9 on the road. There’s little surprise that the Nets would lose to a team aiming to represent the Eastern Conference in the NBA Finals, but the play of game exposed how Nets player injuries have put a serious dent in the Nets ability to keep pace with an elite team operating at full strength. Even Milwaukee head coach Mike Budenholzer agrees. 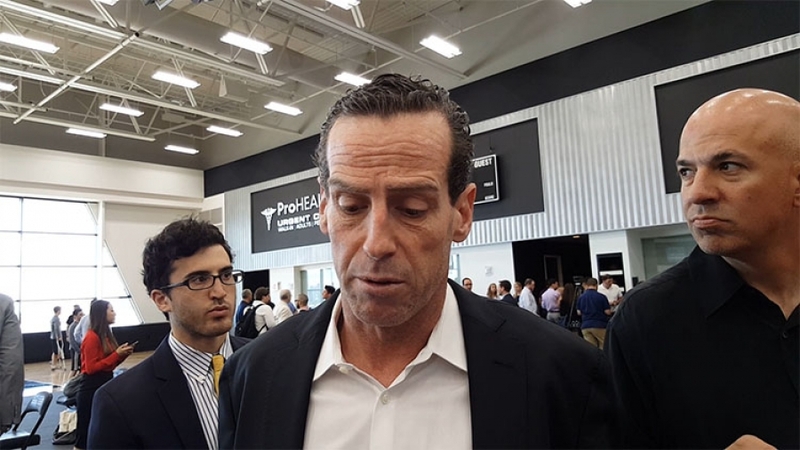 Brooklyn Nets head coach Kenny Atkinson sees a silver-lining ahead for his team, as Caris LeVert and Allen Crabbe will be at a full-on practice today. Nets guard D’Angelo Russell is chomping at the bit for Crabbe and LeVert’s return to the lineup because he knows how much their return will help the team. In addition to LeVert and Crabbe being out for the Nets, Spencer Dinwiddie, a team leader, is also out. Dinwiddie underwent successful surgery last week to repair ligaments in his right thumb. There is no timetable for his return as yet. And, Nets center Jarrett Allen acknowledges Dinwiddie's importance to the team and what the Nets are missing without Dinwiddie’s presence. Regarding Nets scoring leaders, Russell led the Nets with 18 points and five assists in 29 minutes against the Bucks. Shabazz Napier, who made his second start for the Nets last night, recorded 15 points, four rebounds, four assists, and two steals in 28 minutes. Theo Pinson added 10 points, a career-high-tying eight rebounds, and two assists in 26 minutes off the bench. Although (Jarrett) Allen did not score in double-digits, he led the Nets in rebounding with 11. For the Bucks, Giannis Antetokounmpo led all scorers with 30 points, 15 rebounds, nine assists, and three blocked shots; Malcolm Brogdon scored 15 points and eight rebounds; Eric Bledsoe registered 15 points, five assists, five steals, and three rebounds, and; Khris Middleton chipped in 12 points, eight rebounds, and four assists. The Bucks are heading home to Milwaukee to host the Washington Wizards, tomorrow, Wednesday, February 6, at 8 p.m. ET. Meanwhile, the Nets will stay at home and host the Denver Nuggets at the Barclays Center on Wednesday, February 6, 2019, at 7:30 p.m. ET. The Barclays Center was rocking with enthusiasm for the Brooklyn Nets on Sunday from tip-off until the buzzer sounded signaling the end of the game. For the first three quarters, it looked like the Brooklyn Nets would get another victory at home against the Philadelphia 76ers this season. Brooklyn led by as much as 20 points at 1:22 in the second quarter, ultimately ending the half up by 14 with a score of 68-54. Things were even looking pretty good for Brooklyn in the proverbial third quarter, as the team was up by as much as 19 points at 6:20 and ending the third with a 13-point spread. However, the Sixers went into a turbo-charged gear in the fourth quarter. The Nets lost their double-digit lead after an Allen Crabbe foul and Sixers Joel Embiid hits two foul shots with 4:50 left in regulation and the score resting at the moment at 118-110. Over the next few minutes, Philadelphia chips away and takes the lead at 1:03 on a JJ Redick three-point jump shot and now the score is 121-120. Brooklyn takes a slim one-point lead (125-124) on a Spencer Dinwiddie pull-up jumper at 26.8 seconds left in regulation. Now, here is where it really gets interesting, at 19.7 seconds, Redick misses a jump shot, Jimmy Butler rebounds, there’s a tussle, and a jump ball is called between Butler and Nets forward Rondae Hollis-Jefferson. Butler tips the ball to Embiid and Philadelphia calls a timeout. At 2.3 seconds, the game resumes and Butler hits a step-back three putting Philadelphia in a game-winning position with a score of 127-125. Timeout is called. Game resumes. With .4 seconds on the clock, Nets forward DeMarre Carroll throws a bad pass, Ben Simmons intercepts the ball and its game over. Postgame in the locker room, Butler reflects on the game-winning shot for Philadelphia. Butler, confident and somewhat humble, didn’t put himself out there as “the guy” since joining the Sixers after a tumultuous early start to the season with the Minnesota Timberwolves. A winnable game for the Nets, but instead they go down in defeat by a small margin 127-125. With this loss, the Nets fell to 8-13 overall and 3-6 at the Barclays Center, while the 76ers improved to 14-8 overall and 4-7 on the road with the win. Looking at the way Brooklyn competed, there were some things for the Nets to feel good about, particularly compared to last season. This team competed and played defense. Overall, Brooklyn out-rebounded Philadelphia by a slim margin 43-42. The 33-29 defensive rebounding score is where the Nets saw some daylight and went into darkness with allowing Philadelphia to beat them on the offensive boards 13-10. D’Angelo Russell led all scorers with a season-high and Nets career-high 38 points with eight rebounds and eight assists in 34 minutes. Spencer Dinwiddie came off the bench and recorded a career-high-tying 31 points along with three rebounds and five assists inside of 29 minutes within regulation. The first time Dinwiddie scored 31 points, it took an overtime session against the Toronto Raptors earlier this year on January 8, to accomplish this feat. Other Nets leading scorers were center Jarrett Allen, who is in his second year with the NBA. Allen had a good night, posting his seventh career-high double-double of the season with 17 points and 10 rebounds in 36 minutes. Allen’s seven double-doubles are the second-most for all second-year NBA players (behind Ben Simmons’ 14 double-doubles). Hollis-Jefferson also scored in double figures, tallying 13 points with six rebounds in 30 minutes in his second start of the season. Unfortunately, once again, Allen Crabbe, who is part of the starting five, disappeared. Crabbe scored zero (0) points, donuts for rebounds, and one assist in 25 minutes of play. By contrast, all of Philadelphia’s starters scored in double digits. Butler scored 34 points, 12 rebounds, and four steals. Embiid registered 32 points, 12 rebounds, and four assists; Redick tallied 15 points and four rebounds; Simmons added 13 points, nine assists, five rebounds, and three steals, and; Wilson Chandler chipped in 10 points, five assists, and three rebounds. Landry Shamet, a member of Philadelphia’s secondary unit and a rookie, got into the double-digit scoring action by posting 16 points. Understand the disappointment, but so be it? The Nets were up by as much as 20 points in the second and 19 in the 3rd and so be it. What!? Atkinson is right on the free-throw opportunities. Philadelphia had 33 occasions to get to the free-throw line, making 27 of them. Meanwhile, Brooklyn made 15 out of their 20 free-throw chances. And, down the stretch, Nets center Jarrett Allen missed an eight-foot floating shot at 4:30 in the fourth that would have put the score at 120-110 giving the Nets a 10-point lead instead of keeping them at 118-110. Then, Allen missed two free-throws at 3:21 when the Nets had a slim 118-114 lead, an ominous sign that this game would probably not be a win for the Nets. And, Brooklyn Nets forward Joe Harris summed it up best. The Philadelphia 76ers play the New York Knicks on Wednesday, November 28, 2018, at home in Philadelphia. Next up for the Brooklyn Nets is the Utah Jazz at the Barclays Center in Brooklyn on Wednesday, November 28, 2018, at 7:30 p.m.
It’s the day after Thanksgiving and the Brooklyn Nets are back home after playing back-to-back games against the Miami Heat and the Dallas Mavericks on the road; getting a 104-92 win over the Heat and a 119-113 loss against the Mavericks. As fans piled into the Barclays Center, of course they were hoping that the home team would prevail against the Minnesota Timberwolves, but unfortunately, the Nets fell to the ‘Wolves 112-102. With the loss to the Timberwolves, the Nets fell to 8-12 overall and 3-5 at Barclays Center, while the Timberwolves improved to 8-11 overall and 1-8 on the road with the win. At the end of the first quarter, there was a glimmer of hope that the energetic-looking Nets just might pull off a win, as the Nets outscored the Timberwolves 26-22 in the first quarter. Although the Timberwolves took the lead in the second stanza, the differential was small enough at 54-49, that there was no real need to hit the panic button. 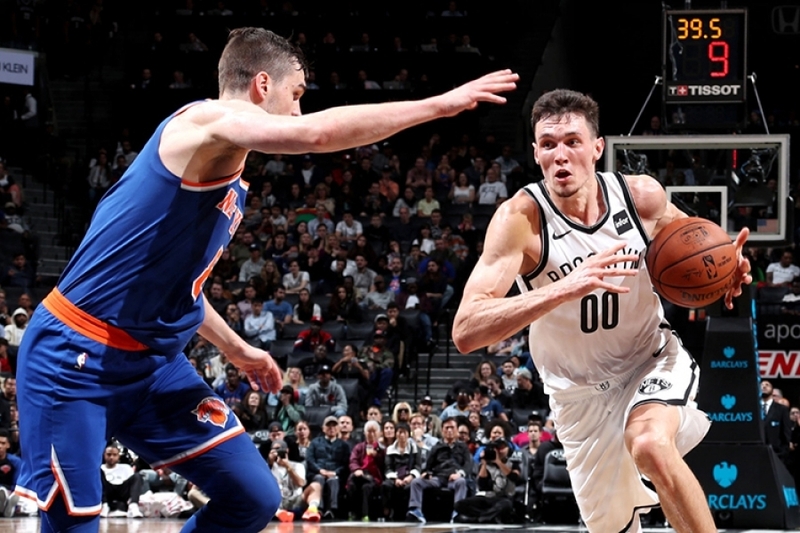 In the third quarter where the Nets often struggle, there was cause for alarm as the T-Wolves continued to outpace Brooklyn, ending the third with a score of 89-72. 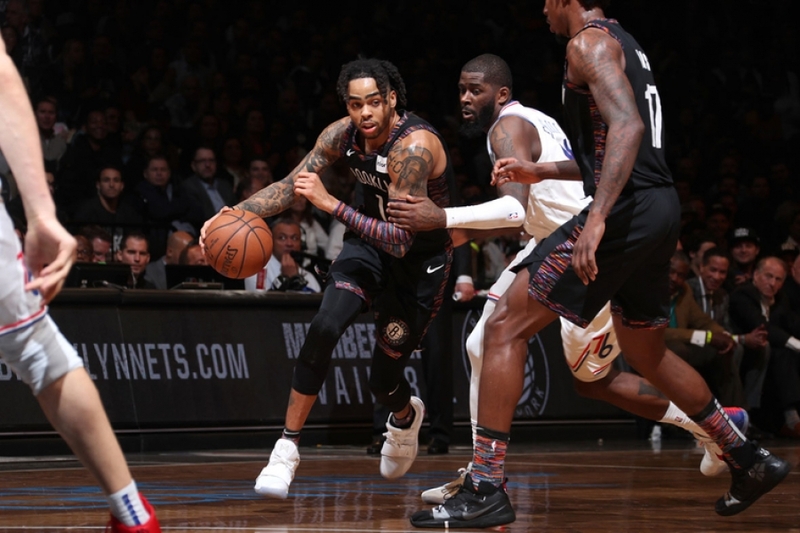 The Nets did come roaring back in the fourth just enough to make it interesting, outscoring Minnesota 30-23, but it just wasn’t enough to overcome the gap that was built up in the third quarter. Those inefficiencies allowed Minnesota to score 31 points off of Brooklyn’s turnovers. This win for the Timberwolves was especially sweet, as it was the team’s first road win this season. The Nets scorers in double digits this afternoon were Spencer Dinwiddie and Joe Harris, each scoring 18 points. Harris added six rebounds and four assists, while Dinwiddie, who came off the bench, supplemented his 18 points with eight assists, and three rebounds. 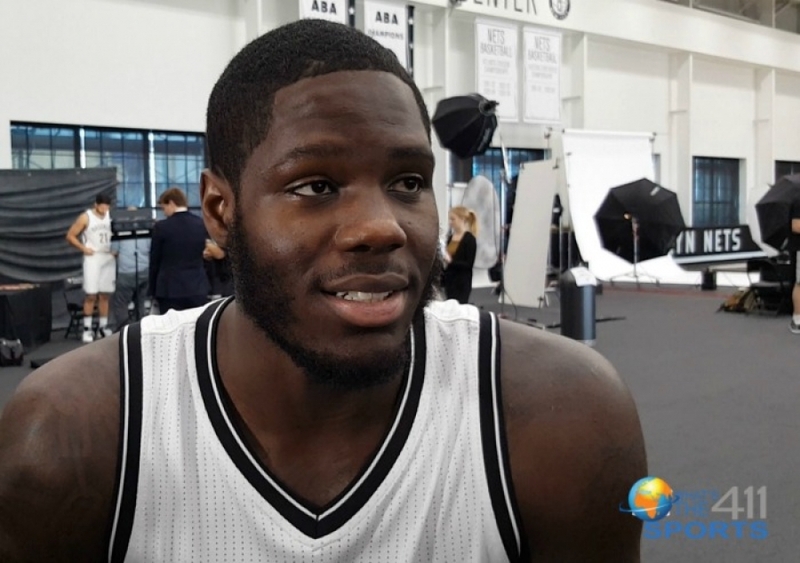 DeMarre Carroll, scored 13 points and seven rebounds off the bench, while Shabazz Napier, another member of the second unit tallied 12 points and six rebounds; Jarrett Allen, now in his second year with the NBA, registered 12 points and four rebounds, and; Allen Crabbe chipped in 11 points and five rebounds. The Timberwolves leading scorer was also from the second unit. Derrick Rose, the only Minnesota player to come off the bench and score in double digits, also led all scorers with 25 points and three assists leaving some media people to believe that we are witnessing the resurgence of NBA All-Star Derrick Rose. However, Coach Thibodeau believes the qualities of Rose as an NBA All-Star didn’t vanish. Other Minnesota leading scorers were Karl-Anthony Towns who attained 21 points and nine rebounds; Taj Gibson registered 16 points, 11 rebounds, and three steals, while; Jeff Teague chipped in 15 points and nine assists. Oh, it was going so well for the Brooklyn Nets straight up until the fourth quarter when the proverbial floor fell out from under them. The Nets were leading the Clippers for the first three quarters, ending the third and starting the fourth quarter 97-92. The 97 points not only marked the most Brooklyn has scored through three quarters this season, but the most the Nets have scored through three quarters at Barclays Center since the 2015-16 season, when it scored 98 points against the Washington Wizards on April 11, 2016. Now, back to the reality of Saturday, because although the numbers through the third quarter were great and perhaps, displaying the upward leap the team is making overall, the only number that matters is the number that is on the board when the clock strikes zero at the end of the fourth quarter. And in this case, when the clock hit zero, it was the Clippers 127 and the Nets 119. With the loss, Brooklyn is 7-10 overall and 3-4 at Barclays Center, while the Clippers improved to 10-5 overall and 3-4 on the road with the win. As Atkinson stated, coming off the bench for the Clippers with verve and vigor, Montrezl Harrell scored 16 points and 10 rebounds, and one blocked shot, while Lou Williams registered 16 points, five assists, and one steal. Meanwhile, Danilo Gallinari led all scorers with 28 points and three rebounds; Tobias Harris tallied 27 points, eight rebounds, and three assists; and Marcin Gortat chipped in 10 points and eight rebounds. On the other side of the ledger, Atkinson did not throw his team under the bus. The Nets didn’t win, which is ultimately the objective of the game, but they did compete. Nets center, Jarrett Allen, led all Nets scorers with 24 points and 11 rebounds, two assists, and one steal; D’Angelo Russell scored 23 points, 10 assists, three rebounds, and two steals; Joe Harris tallied 19 points and four assists, Allen Crabbe registered 15 points and four rebounds, and; Spencer Dinwiddie chipped in 11 assists and four rebounds. Ed Davis pulled down a game-high-tying 11 rebounds tonight along with four points in 19 minutes off the bench. Okay, note to the team, play four quarters; as it isn’t over until it's over. 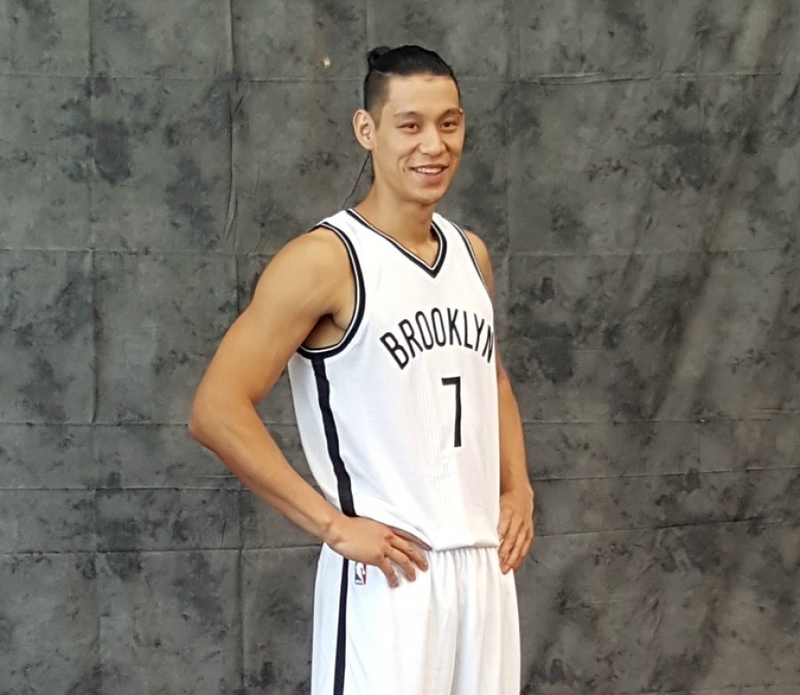 What’s next for Brooklyn? The Nets will hit the road and travel to Miami to play the Heat on Tuesday, November 20, at 7:30 p.m. ET. Then, they will travel to Dallas to play the Maverick on Wednesday at 8:30 p.m. ET. The Nets will be back home at the Barclays Center, the day after Thanksgiving on Friday, November 23rd to play the Minnesota Timberwolves at 12 noon. Last night was a sad night at the Barclays Center. The Brooklyn Nets rising star, guard Caris LeVert, was not in the lineup as he is recuperating from a subtalar dislocation of his right foot, an injury he sustained on Monday while playing the Minnesota Timberwolves at the Target Center in Minneapolis, Minnesota. 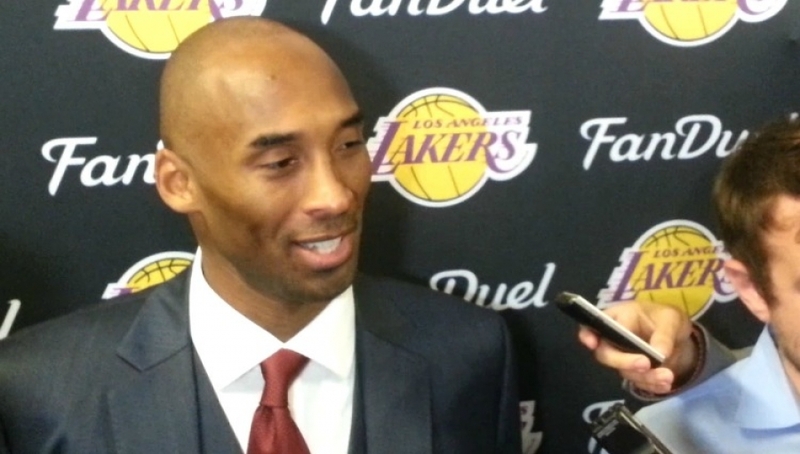 The good news is that at this point, he does not need surgery and hopefully, he will return before the season ends. Another Nets rising star, Jarrett Allen, was also out because of an illness. 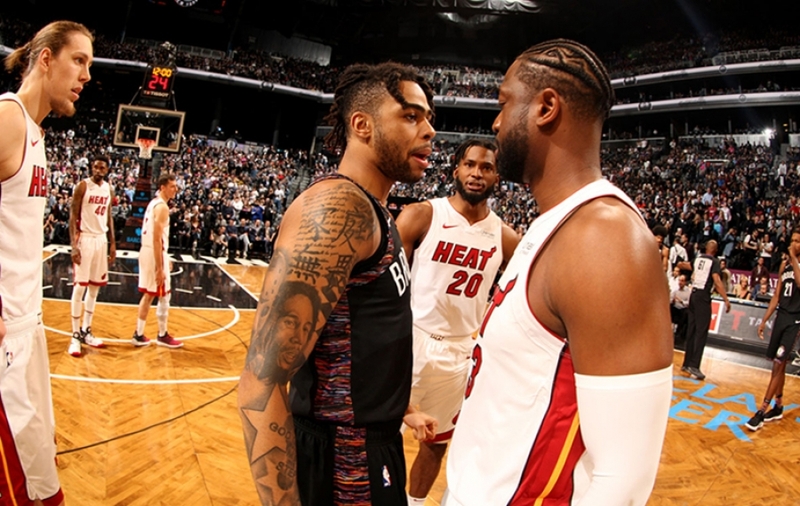 So with two of the Nets best players out, the Nets lost to the 5-8 Miami Heat, 120-107 and dropped to 6-9 overall and 3-3 at the Barclays Center, while Heat’s record improves to 6-8. Not sure why Brooklyn Nets head coach, Kenny Atkinson, gave guard Allen Crabbe his first start of the season in LeVert’s place instead of guard Spencer Dinwiddie. Comparing the two players prior to the game, Dinwiddie was averaging 13.9 points per game compared to Crabbe’s 6.5 ppg. There’s not much difference between Dinwiddie and Crabbe’s rebounds per game 2.4 vs. 3.3, but Dinwiddie leads Crabbe in the assist column, 4.1 vs. 1.2, as well as in the grit column. At game’s end, Dinwiddie, who came off the bench, led all Nets scorers with 18 points (6-of-12 FG), three rebounds and five assists in 29 minutes. Looking at Dinwiddie’s numbers for the season, he has scored in double figures in 14 games, which marks the most games scored in double figures for a Nets reserve in the team's first 15 games of a season in franchise history (previously: 12 games for Armen Gilliam in the 1993-94 season). Dinwiddie also leads the NBA in double-digit scoring games off the bench this season (ahead of JJ Redick, Lou Williams, and Jordan Clarkson, who have all come off the bench in 13 games in the 2018-19 campaign). Against the Miami Heat last night, Crabbe scored a measly six points and one rebound in 26 minutes of play. He also had six fouls, so you know what that means. So, why did Coach Atkinson shuffle the deck to insert Crabbe in the starting lineup, which may have affected the team’s rhythm particularly when Crabbe doesn’t have the best track record? The fact that the Nets players and the coaching staff know each other and have watched players over the last 14 games of the season is enough reason to know that Crabbe should not have started to disrupt the team’s rhythm. Nets forward Joe Harris in responding to reporters’ questions about whether there’s an issue finding a rhythm with the different lineups being thrown out there, particularly with LeVert unable to play, in effect makes the point. Missing Caris LeVert is natural, but in these situations, it needs to be not just the next man up, but the best next man up. And, Jared Dudley, a veteran player the Nets acquired over the summer for a veteran voice in the locker room, makes my point on who needs to step up to the starting position after the loss of LeVert. 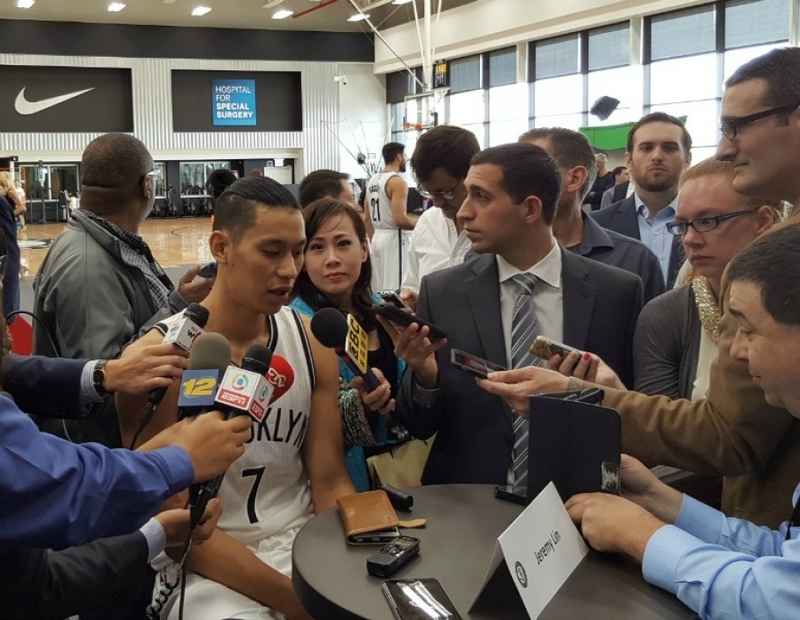 “I think Spencer (Dinwiddie) has to step up in a bigger role,” Dudley said. “I think you got to be more mentally locked in when it comes to attacking the basket when it comes to not settling, to getting guys involved. I think that’s where we need to take it from here. I think Allen Crabbe is someone who’s very more capable of coming in and boosting up his point scoring, so I think it’s by committee. Definitely, Spencer (Dinwiddie) should take up that role and that challenge of someone who is easily capable of upping his scoring five to six points and getting more shot attempts. Nets scorers in double digits behind Dinwiddie were Rondae Hollis-Jefferson who posted 14 points, nine rebounds, and two steals in 23 minutes off the bench. Hollis-Jefferson’s nine rebounds marked a season high for him. Shabazz Napier totaled 13 points (his third-most points in a game this season) with two rebounds, two assists, and two steals in 26 minutes off the bench. Starters D’Angelo Russell added 12 points; Harris registered 11 points, five rebounds, and three assists in 25 minutes, and; Dudley chipped in 10 points, five rebounds, one steal, and one blocked shot. The Miami Heat’s leading scorers were Tyler Johnson, who came off the bench to score 24 points and five rebounds. Goran Dragic put up 21 points, four assists, and three rebounds; Josh Richardson registered 15 points, five rebounds, and five assists; Hassan Whiteside tallied 14 points, 10 rebounds, and two steals; Bam Adebayo, part of Miami’s second unit, accumulated 12 points and three rebounds, and; Rodney McGruder chipped in 10 points, four rebounds, and three assists. Next up for the Miami Heat are the Indiana Pacers on Friday, November 16, 2018. The Brooklyn Nets will play the first of a back-to-back against the Washington Wizards in the nation’s capital also on Friday, November 16, 2018. They will return home to play the Los Angeles Clippers at the Barclays Center on Saturday, November 17, 2018, at 6:00 p.m.
Hopefully, Allen Crabbe will find his heart in Washington, DC. Oh, the complicated Nets we weave! The Brooklyn Nets that is. It’s Sunday and the Nets faced off against the NBA champions, the Golden State Warriors in their first and only meeting at the Barclays Center this season. The Nets started off strong in the first quarter with x lead changes and ended the first quarter on the heels of the Warriors at 32-29. And, then losing their grip on the Warriors in the second quarter, ending the first-half 63-49. Then came the proverbial third quarter when the Nets dug themselves into a 93-78 hole. Trying to dig themselves out in the fourth stanza, the Nets edged the Warriors 37-27 in tonight’s fourth quarter and came within 2 points, at the 1:55 mark on a driving layup by D’Angelo Russell. But the talent of the Golden State Warriors came shining through and when the horn sounded to signal the end of the game, the Warriors walked off as victors 120-114. Meanwhile, the Nets fell to 2-4 this season and 1-1 at Barclays Center with tonight’s loss, while the Warriors improved to 6-1 overall and 3-1 on the road with the win. Russell led the Nets with a season-high 25 points (9-of-14 FG, 5-of-8 3FG, 2-of-3 FT), six rebounds, six assists and one block in 30 minutes tonight vs. the Warriors. Caris LeVert scored 23 points, seven assists, and three rebounds for the Nets. Allen Crabbe contributed 14 points, five rebounds, and two assists 28 minutes off the bench tonight. Spencer Dinwiddie added 12 points (4-of-9 FG, 4-of-7 3FG) in 24 minutes off the bench, while Jarrett Allen chipped in 11 points, four assists, and three rebounds. Ed Davis led the Nets in rebounding with a total of seven, of which six were defensive rebounds. For the Golden State Warriors, Stephen Curry led all scorers with 35 points, seven rebounds, and three assists. Kevin Durant tallied 34 points, eight rebounds, and six assists; while Klay Thompson recorded 18 points and five rebounds. Tomorrow, the Golden State Warriors travel to Chicago to take on the Chicago Bulls. The next time the Nets will have an opportunity to redeem themselves against the Golden State Warriors will be in Oakland on November 11, 2018. In the meantime, next up for the Brooklyn Nets are the New York Knicks tomorrow at Madison Square Garden and then the Detroit Pistons at the Barclays Center on Wednesday, October 31, 2018, at 7:30 p.m.